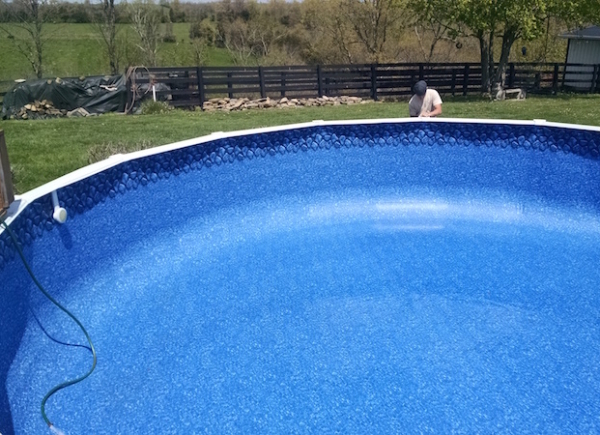 Perfect Pools has been serving the Greater Cincinnati area since 1992. 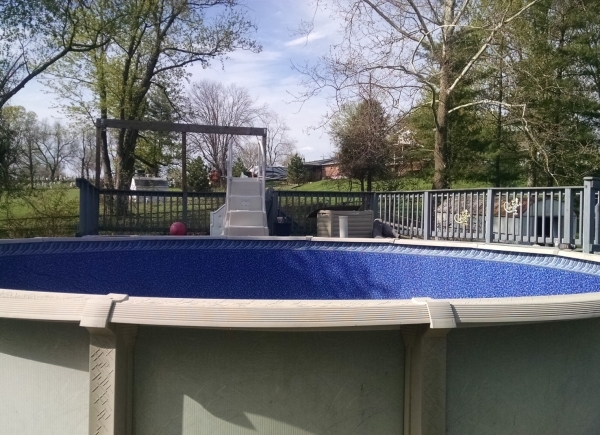 We install, repair and replace above-ground pools and pool filters throughout Southern Ohio, Southeastern Indiana and Northern Kentucky. We also close and open above-ground pools, and power-wash, stain and seal both decks and wooden play-gyms. We are well-known for our attention to detail and prompt service; our installers are courteous to our customers, and considerate of their property. Our excavations are performed ahead of time so that any issues that may arise can be handled without delaying your pool installation (normally within 48 hours of the excavation). We are very thorough during the quoting process to make sure everything goes smoothly for you. 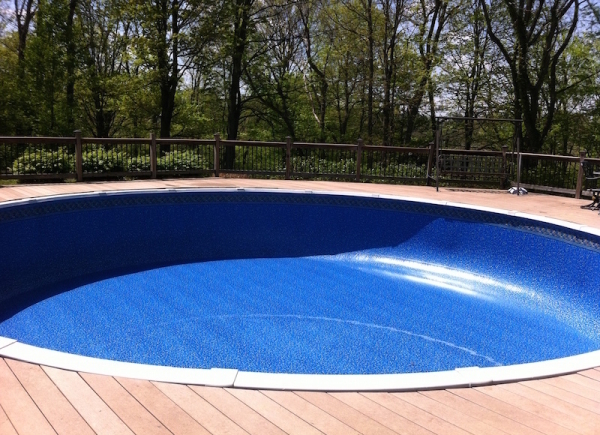 Insurance quotes are written up, detailing what must be done to restore your pool to your satisfaction. 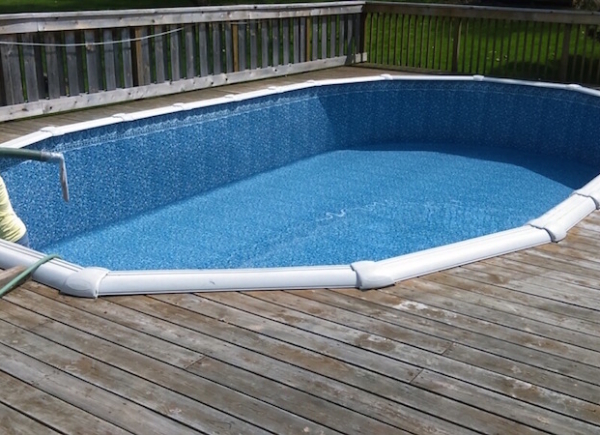 Whatever your above-ground pool needs may be, we hope you’ll give us a call. We’re Perfect Pools – the name says it all. With over 80 years of combined experience the Perfect Pools staff is here to ensure your experience is better than expected. From your initial phone call or email to when our trucks are leaving your driveway, our goal is to provide you with consistent communication, accurate quotes, timely delivery and friendly and professional staff. We are your above ground pool experts. Get to know our staff – you will love working with us! Stacey Hill is self-admittedly a perfectionist and she demands the same from her installers. Stacey runs the liner replacement crew and trains all the installers. She is an expert in bringing older pools back to life as well as finding unique methods to fix unusual problems. She has 27 years of experience with above-ground pools and hopes for 27 more! Betsy runs the office with an iron hand. She schedules all crews and excavators, talks to all customers, does all the background research for quotes, and pays all the bills. Betsy has been doing this every pool season since 1993, and promises not to stop any time soon. If you have any question about a pool, call Betsy – she probably has the answer or can tell you who does! I was sent to Perfect Pools by Watson's after purchasing my new above-ground pool, for installation. When I phoned the office to set up my installation Betsy answered the phone and told me more about my pool and the installation process then I had been told before. Her instructions were so complete and easy to follow the process was a breeze. That was 10 years ago! When we decided to get a new pool we went back to Watson's and Perfect Pools what a joy it was to call and hear Betsy's voice answering the phone still. The second she answered the phone again I knew we were in good hands. As expected our new pool went in without a hitch!! It is businesses and quality people like Betsy and Stacey that makes living and doing business with local companies in Cincinnati a joy.